Since it opened in 1961, the Amon Carter Museum of American Art has been committed to publishing its collection and contributing to the study of American art. The museum recently uploaded its first eBook, available below. 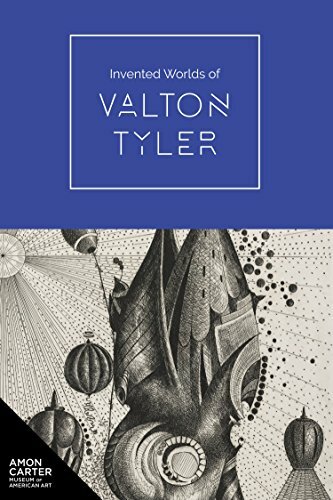 For more than forty years, Texas artist Valton Tyler (b. 1944) has depicted unparalleled worlds from his imagination. His captivating artworks feature unique interplays of identifiable, organic, mechanistic, and surreal shapes, which often rise from mountain, desert, or arctic landscapes. One of the only etching series he ever created, along with graphite drawings and large-scale paintings, are brought together for the first time in this book.